Verrazzano-Narrows Bridge, NY - Versilis inc. 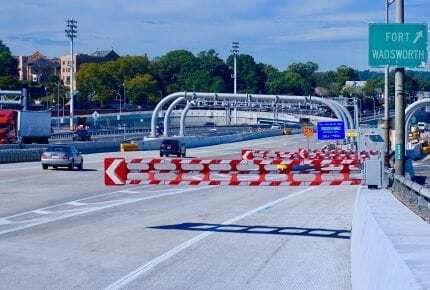 In 2017, after an extensive review of current technologies, the New York Metropolitan Transportation Authority (MTA) chose Versilis to supply automated warning gates at two specific locations of the Verrazano-Narrows Bridge. 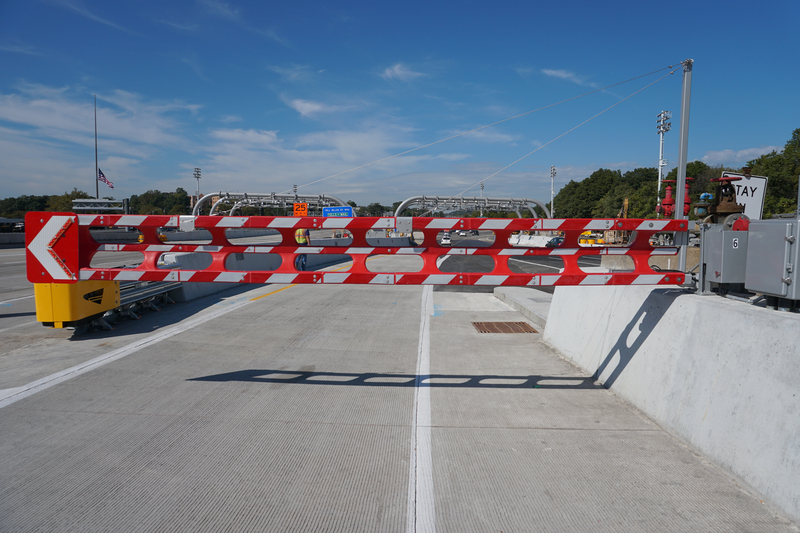 A first series of gates is to control the access to a ramp connecting the Bridge Upper Level Deck to its Lower Level Deck. 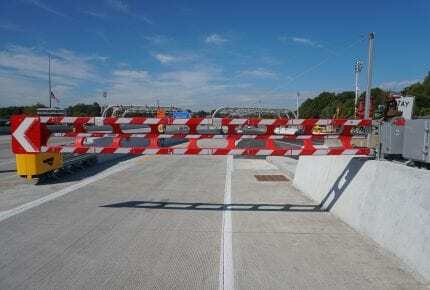 A second series of gates is used to increase the efficiency of the repetitive traffic control operations associated with the bridge managed lane operation. The Verrazano-Narrows Bridge is a double-decked suspension bridge that connects the New York City boroughs of Staten Island and Brooklyn. In 2012, a project to replace the Upper Level Deck was awarded to Tutor Perini. The Versilis gate installation was incorporated as part of this contract’s ITS enhancements. Incorporate the supply of gates within a change order to an important construction contract. Need quick delivery of access control solution for the 2 locations. Manage the design of civil and electrical requirements while the construction of the barrier walls is taking place. 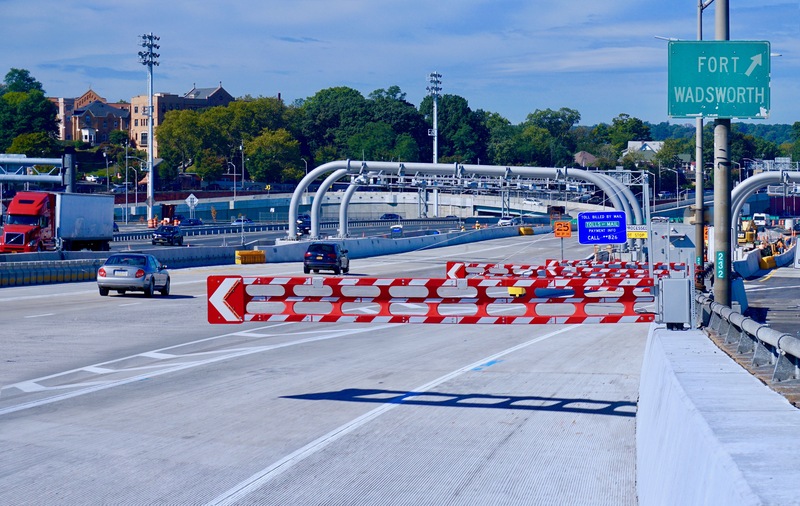 Versilis’ technical team worked hand in hand with the design engineers (HNTB) to determine the safest and most efficient gate layout for the 2 locations. Electrical and communication details were quickly identified and confirmed. The chosen solution provides an ability to control each set of gates using push buttons located in 2 cabinets in close proximity. A versilis commander has also been installed at both locations to allow eventual remote control from a traffic management center.